Based on recent literature and a lecture it appeared to me that not everyone is talking about the same phenomenon when it comes to empathy. In much animal research resonance is mostly the adequate description of what is being studied. Resonance is the phenomenon of one person unconsciously mirroring the motor actions as basis of emotional expressions of another person. In animal models resonance is mostly the representation of motor action of the other animal without making the moves but showing activity in motor regions of the brain. Empathy is more than resonance. It is usually divided in cognitive and emotional empathy. For me emotional empathy is the core characteristic of empathy and is a quality present to a lesser of greater extend in humans. Not everyone has this capacity or in the same amount. It’s the ability of feeling the same as someone else with the recognition that the feeling belongs to the other one. Moreover is a more broader definition it’s the capacity to experience affective reactions to the observed experiences of others or in a stricter sense share a “fellow feeling”. the term cognitive empathy describes empathy as a cognitive role-taking ability, or the capacity to engage in the cognitive process of adopting another’s psychological point of view. This ability may involve making inferences regarding the other’s affective and cognitive mental states. 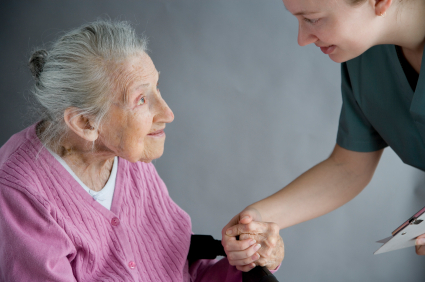 Probably cognitive empathy is something we can teach our residents and medical students. From an evolutionary stand point, emotional empathy is the phylogenetically earliest system. The cognitive empathy is more advanced and involves higher cognitive functions. 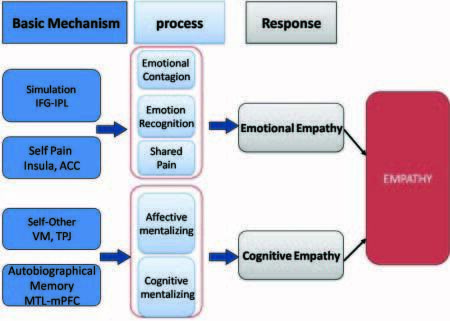 The division between cognitive and emotional empathy is supported by animal models and psychiatric disturbances such as autism and borderline personality disorder both characterized by a dissociation between cognitive and emotional empathy. The neural bases of the cognitive and emotional empathy is represented in the next graphic. Sympathy is another emotion different from empathy. Empathy is a process by which we try to comprehend another’s experience, while sympathy would be a direct perceptual awareness of another person’s experience akin to the phenomenon of sympathetic resonance. Sympathy does not necessarily require feeling any kind of congruent emotions on part of the observer, a detached recognition or representation that the other is in need or suffers might be sufficient. If you’ve ever wondered how a single neuron fits into the incredibly complex structure of a living brain, I highly recommend this three minute video. Be prepared to be awestruck. Oxytocin is the new hormone possibly responsible for increase of trust, “the hormone of love”, and improvement of social cognition. This optimism is sometimes turned around in the way that some researchers believe that oxytocine could also ameliorate social deficits such as present in social phobia and autism. I don’t share this optimism, in biology and human neuroscience you can’t simply turn the proof around. We’ve seen a lot of trouble from this simple method. In depression not only the neurotransmitters are dysregulated, nor the lack of dopamine doesn’t explain Schizophrenia and so on and so on. Then why write about oxytocin? Well, I’m interested in empathy. Empathy is an interesting phenomenon of which we only understand very little. Moreover, a recent study had the important premises that oxytocin may selectively facilitate social cognition given certain constraints. They had a very thought provoking hypothesis. To me someone should need some social cognition in order to be able to improve empathy with oxytocine but the researchers had an other hypothesis. They hypothesized that oxytocin would be of more value, improve empathy more in those with less social proficiency. They used a double blind placebo controlled crossover trial: participants received either intranasal oxytocin or a placebo and performed an empathic accuracy task that naturalistically measures social-cognitive abilities. Baseline social competencies were measured with the Autism Spectrum Quotient. Oxytocin only improved empathetic accuracy in less socially proficient individuals not in more socially proficient individuals. Oxytocin does not acts as a universal prosocial enhancer that can render all people social-cognitive experts. This is against my hypothesis but nevertheless more in relation to reality that oxytocin is not the new social drug we thought it to be. We’ve discussed daydreaming and it’s advantages before on this blog. In this short video Jonah Lehrer discusses whether access to the Internet negatively affects one’s ability to let their mind wander and miss on the advantages of daydreaming. 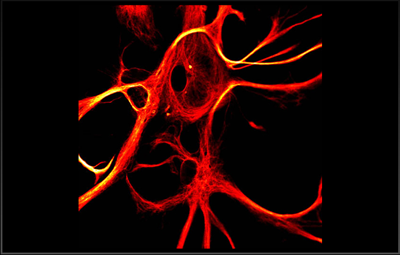 Connectome: all connections between each neuron, our real selves? Genes don’t explain the complicated human beings we are, brain imaging doesn’t explain the complicated human beings we are, does the connectome explain us. Is the connectome the real soul of our selves, the id or what evr you want to call the unique human being each of us really is. At last, another round up is posted on neuroanthropology. Apparently, the author is now safely esconsed in Tampa, and getting started at the University of South Florida. This is a very comforting book especially if your middle aged as I am. Consoling remarks such as : “Younger people also forget were they left their keys only they don’t worry about it”, that’s what I mean. The book is full with all kinds of examples that trouble the middle aged brain. 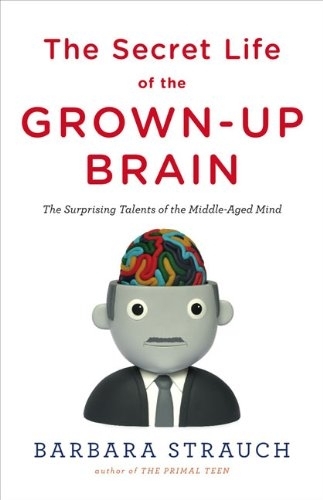 Nevertheless the emphasis of this book is on the positive sides of the middle aged brain. We might be slower in some aspects but in others we’re comparable to younger brains or even better. Being better at tasks mainly due to experience, having oversight, able to tolerate ambiguity. Middle aged brains looks on things more from the positive side, this become more useful during aging, it improves our survival. We’re able to regulate our emotions better compared to young ones. Moreover, our wisdom improves our decision making. These are just a few examples described in the book. It also describes the findings of research in neuroscience that explains these benefits of the middle aged brain compared to younger brains. It’s all written with the layman in mind on the subject of neuroscience. The last three chapters are about creating healthier brains. Exercise being the only proven method for increasing your “brain power”. These chapters are very well written, “evidence based” like. Very balanced. I only disagree with her on her chapter “The Midlife Crisis Conspiracy”. Empty nest and midlife crisis are all non existent according to the author. That’s not what I perceive in daily practice. It’s probably not a problem for a lot of middle aged men and women but the suffering can be severe and prolonged. In short, a very well written, easily readable, scientific sound book for those not familiar with the neuroscience as such and the neuroscience of the aging brain in particular. Monkeynomics or why did the financial markets collapse? What is it with humans. They’re brilliant compared to their evolutionary counterparts but nevertheless can make very dumb mistakes, watch this video and you’ll know. This image above shows two types of humor. One based on incongruity-resolution, the cartoon on the left. The other also based on incongruity-resolution but provoked by a nonsense cartoon on the right. Humor of nonsense jokes and cartoons is a different sense of humor according to recent research. Not in the sense of the neural processing of humor in the brain or to their structural properties but they differ in content. The common element of these humorous stimuli is that in their processing the recipient first discovers an incongruity. This incongruity can be easily resolved upon reinterpretation of the information available in the joke or cartoon. The cartoon on the left. Or on the other end of the spectrum, the cartoon on the right it can’t be easily resolved. It’s complete nonsense. The cartoon doesn’t provide a resolution at all. Or it provides a very partial resolution (leaving an essential part of the incongruity unresolved), or actually create new absurdities or incongruities. It’s the difference between people who like the utter nonsense of Monthy Python and those who don’t. It’s the difference between your comic TV show and Monthy Python’s Flying Circus. This appreciation of nonsense jokes and cartoons is dependable on personality characteristics. Those with a high level of experience seeking appreciate nonsense humor more. With fMRI scans it was shown that for incongruity resolution as compared to this resolution for nonsense cartoons the former had more activation of brain structures necessary with the processing of humor. These brain structures being the anterior medial prefrontal cortex, bilateral superior frontal gyri and temporo-parietal junctions (TPJ). These brain structures show more activation during processing of incongruity-resolution than of nonsense cartoons.